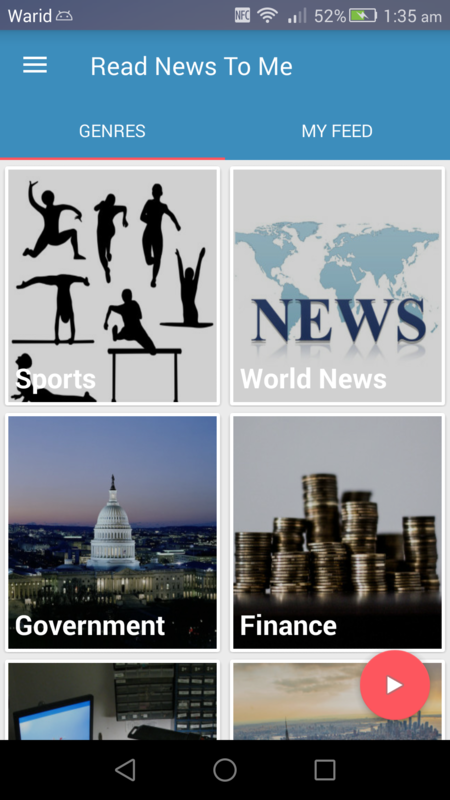 Read News To Me is a mobile app which reads the news to you. 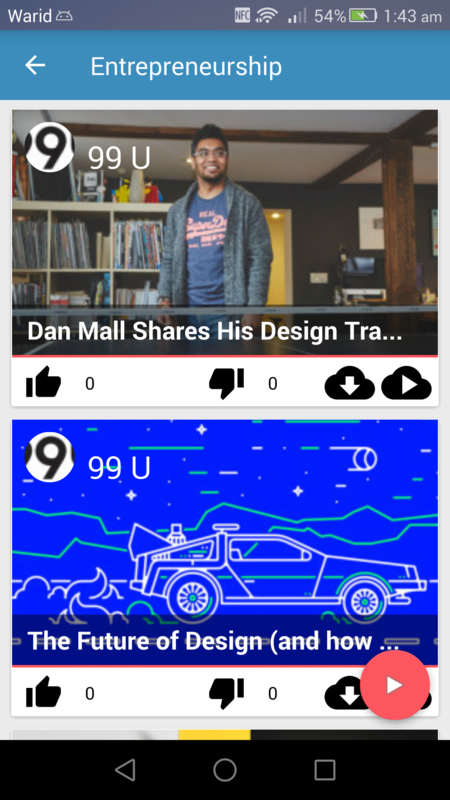 Read News To Me is in private beta now. Sign up to be part of it. Are you overwhelmed with too many news websites to follow? We make it easier for you to keep yourself updated with the happenings in your chosen area of interest. We make sure that the audio quality is suitable and comfortable to listen for our users for long durations of time. We manually curate news/articles for you so that you only get the best articles which are a value for your time. You can perform your daily activities such as, driving, exercise, work, etc... and also listen to your news at the same time. Get the latest articles from your favorite websites that you love to follow from all around the world. We know how much you value your time, so we have taken great lengths to design Read News To Me so that you can get started right away without having to go through tutorials or anything of that sort. Save your time by using Read News To Me by having all of your news and articles on one platform. In today's time there is an information overload and there is not enough time and energy to consume all of it. 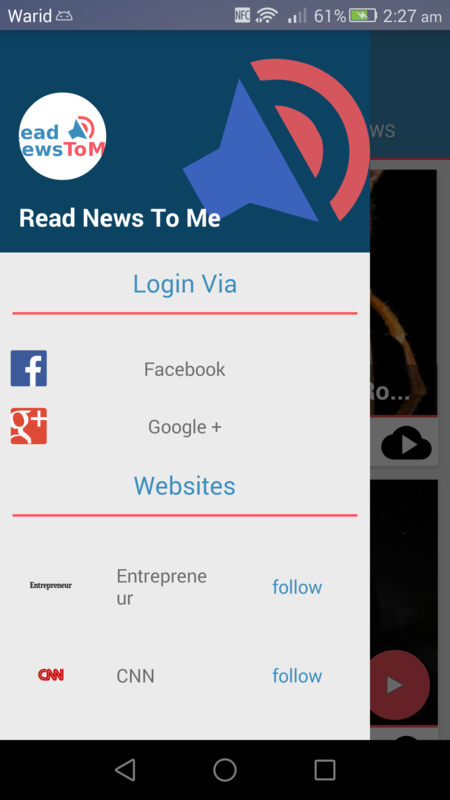 Read News To Me makes it easy for the users to be able to follow their daily news. 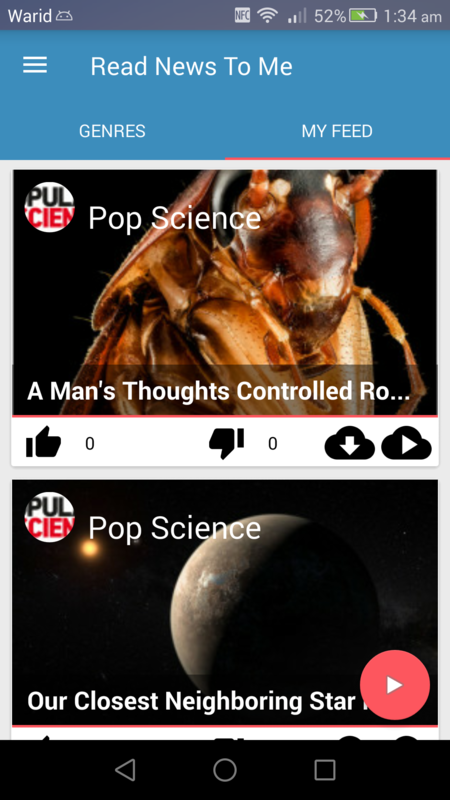 The app retrieves list of articles that our team has manually curated o a daily basis so that our users get the best of the content without any hastle. Read News To Me also ensures the quality of the content assuring that the time that our users spend using Read News To Me is worth their time. We love what we do, and most of all we care about our users, and have taken extra measures to take into consideration the needs of our users. 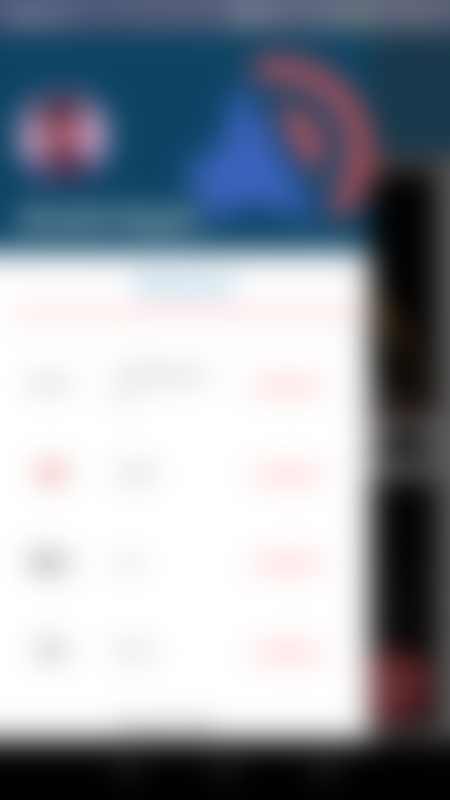 Read News To Me has been designed and built to provide an easy to use application which makes the lives of our users easy. We ensure that the audio that you hear is of top quality and is natural sounding so that you do not get tired of doing what you love best in the least amount of time possible. We offer both male and female voices so that you can listen to with your desired preferences. Read News To Me will be free for all our users for life. If you are a publisher and want us to convert and publish your articles/news to Read News To Me then get in touch with our team. Be part of our beta program and be help us build better way to consume our daily does of news. Our FAQ answers many questions related to our mobile app. 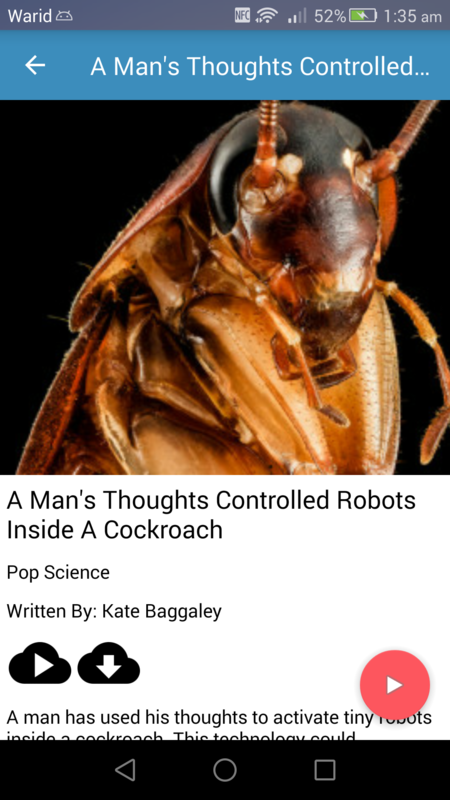 What is Read News To Me? 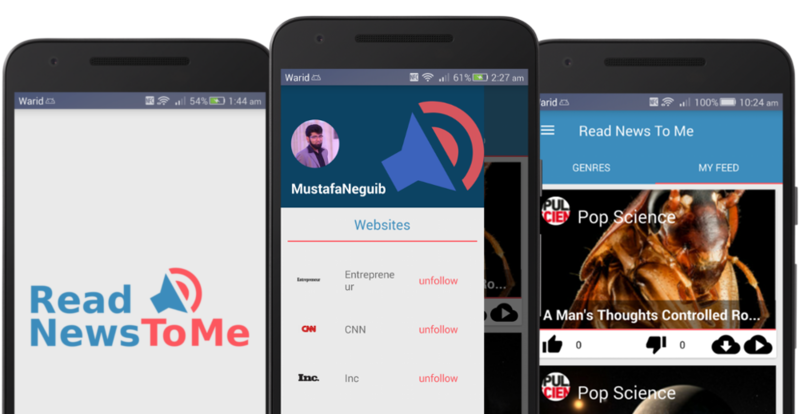 Read News To Me is a mobile application which lets you as a user to follow your favorite websites and then be able to listen to the articles of those websites, be they news websites or blogs. Our team carefully manually curates and produces the audio content for your listening pleasure. We take pride in what we do. Do you own the content? No, we only own the content which we explicitly state ourselves. At Read News To Me we manually collect, curate and produce audio of the content from other third party websites. These websites are owners to their content, and we do not claim any ownership over the content, even the audio content that we produce(convert text to audio). Infact, we mention the names of the website and the author who had written the article and also show the logos of the websites which in the end own the article. Yes you can cancel your account at any time. You can either clean the data from the app and then uninstall the application from your mobile device or if you want your data to be removed from our servers you can send us an email at support@readnewstome.com or contact us via the live chat on this website and we will help you in removing all of your data. Yes, we only store your profile picture, name, email address. We do not save any of your payment details on our servers as they are handled by the online store of your mobile platform. Furthermore, we also send our server calls over https the secure version of the protocol http to make sure that no one snoops into our server calls. On the app we also employ mechanisms which ensure that your data is secured and private. Sign up for private beta testing and help us improve Read News To Me! Use the form below to sign up. We'll never spam you, or sell your email to third parties. We will do our best to reply to you as soon as possible, or you can talk to us via our online chat. © Copyrights 2019 Read News To Me. All Rights Reserved. Other images, and content belong to their own respective owners.